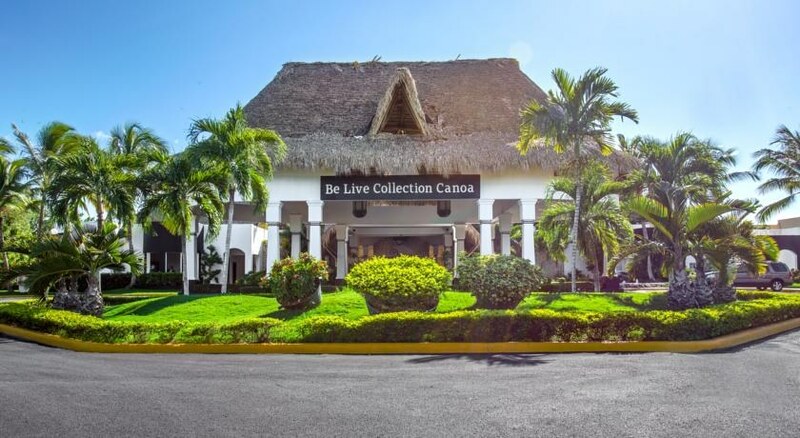 The Be Live Collection Canoa Hotel is a luxurious all-inclusive hotel located by the beautiful Bayahibe beach in Dominican Republic, next to a lake and splendid gardens. A top favourite among couples and families, this hotel boasts of a great location, excellent hospitality and well-furnished rooms with immaculate guest amenities. Be it the best of gastronomy, spa services or comfort, this all-inclusive hotel melds the traditional with the modern beautifully. Explore the nearby Saona Island and Del Este National Park, soak in a pool or relax peacefully with a traditional massage at its delightful spa, Be Live Collection Canoa Hotel will soothe your soul and pamper your senses. And all of these are included in your all-inclusive package. The Be Live Collection Canoa faces the Bayahibe Beach, one of the finest beaches in the Dominican Republic. The Del Este National Park is just 500 metres away. The nearest airport is Gregorio Luperón International Airport, 30 km away. 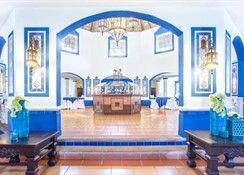 The Be Live Collection Canoa Hotel has rooms with comfortable furniture and Caribbean décor. These come in categories like Standard, Double with pool view, Superior Deluxe, Adults Club Junior Suite, Suite, Master Suite, Adults Club Master Junior Suite, Adults Club Master Junior Suite VIP and Adults Club Villa. All the rooms come equipped with terrace, en suite bathroom, hairdryer, air conditioning, coffee machine, cable TV, minibar, safety box (chargeable), telephone (chargeable) and Wi-Fi Internet (chargeable). Larger Suites have extra balcony and bathrooms, a lounge area and a fully-equipped kitchenette. 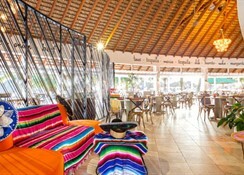 The Be Live Collection Canoa Hotel has a main buffet restaurant for breakfast, lunch and dinner. 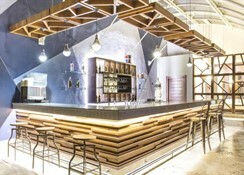 There’s also 4 themed a la carte restaurants: Mylos (local dishes), Akeru (Asian), Oralé (Mexican) and Rodizio (Brazilian). The Lobster House is a great place to enjoy fresh seafood from Caribbean Sea, while KM Pizza prepares a variety of pizzas on wood oven. 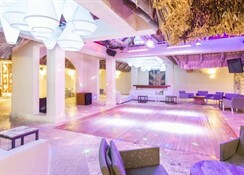 Guests can also enjoy drinks and snacks at 7 lively bars, including the Snack bar and Plaza Bar, or dance the night away at BC Night Club. 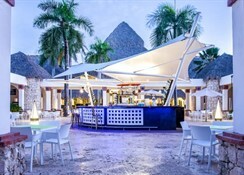 The Be Live Collection Canoa Hotel has amazing amenities for the relaxation and entertainment of guests. Facilities like swimming pool, sun terrace and gardens, loungers, parasols and access to the Blue-Flag Dominicus Beach with a beach bar make for a dream sunny Caribbean holiday. The on-site spa has two Jacuzzis, two saunas and offers rejuvenating massages. There is also a fitness centre and facilities for sports like aerobics, archery, basketball, football, mini golf, pool, sailing, table tennis, tennis and volleyball. 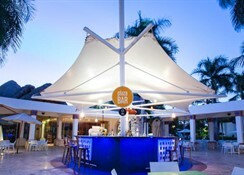 The hotel also has exciting daily entertainment programs and a night club. Tiny tots can relax at their own pool and head to the kid’s club.